Oculus Rift Is Helping the Norwegian Army Drive Its Tanks - trendistic.com: ever tried. ever failed. no matter. try again. fail again. fail better. The Oculus Rift virtual reality goggles may solve a huge problem in the modern military: how do you give tank drivers full views the world outside their hulking vehicles? 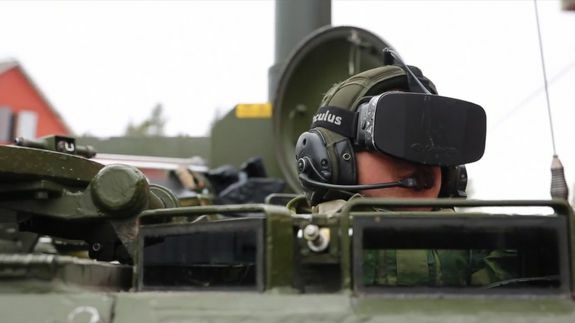 The Norwegian Army is using the Oculus Rift along with four cameras with spherical lenses to give drivers a 185-degree view around their tanks, according to a video from Norwegian technology site Teknisk Ukeblad. The cameras are routed to a PC that then transfers the images to the tank driver’s Oculus Rift.